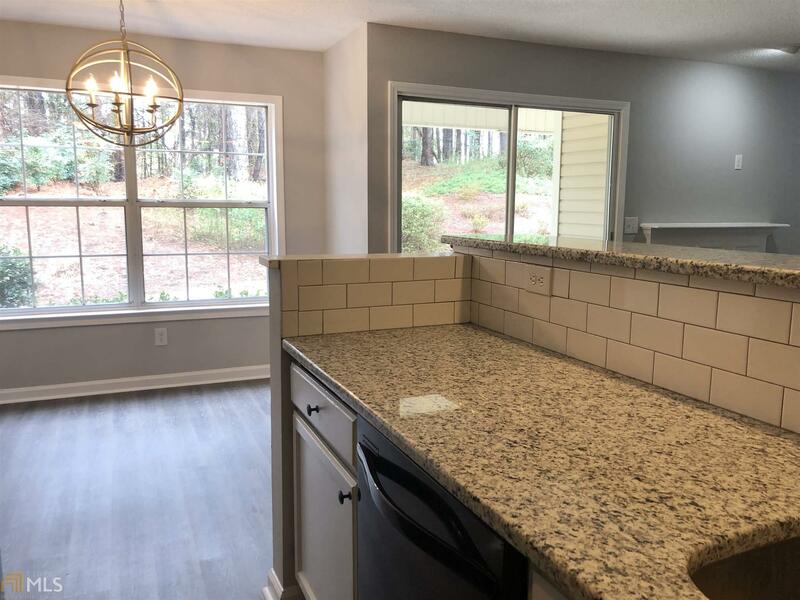 MOVE IN Ready bottom level Condo in the heart of Peachtree City! Recently Painted, Granite, all new LVP flooring, new fixtures and more! Looking for easy living? This is definitely it! Two spacious bdrms, two full bthrms and plenty of closet space. Kitchen open to living room features subway tile, shiplap, white cabinets and black appliances to convey with property! Enjoy watching the deer cross the back yard on your private patio over looking the beautiful greenery. Easy stroll to nearby ponds, lakes, parks and shopping! Golf cart charging station is on site and short walk from this unit as well as mailboxes, pool and tennis courts - perfectly position for easy access! Buyer&apos;s financing fell through - their lost is your gain! Directions: Hwy 74/54 Intersection, Travel South On Hwy 74 To Left On Kelly Drive At 4way Stop (Peachtree Pkwy) Take A Right. Ridgfield Is On The Left. Once In Neighborhood Take Left And Unit Is In First Building On Your Left.